Collision repair estimators might miss far fewer not-included procedures thanks to an expanded free version of Estimate Scrubber announced earlier this year. The software takes a PDF copy of a Mitchell, Audatex or CCC estimate and runs it through an artificial intelligence to flag potential errors or items the estimator might have forgotten to include. For example, items like “Flags LKQ/Used parts and asks if they require any additional body or refinish operations” and “Prompts for checking if repair require an OEM scan for faults before/after repairs?” are among the suggestions an estimator could receive. The old free version had about 10 rules included. The new edition announced in July has 40. (The paid version has more than 45, according to the company.) No registration is needed; just upload a PDF on the company’s website. “The free checks let shops check their estimates for sensors (park, backup, proximity & camera), advanced substrates, modified refinish/blend allowances, block sand, discontinued parts, mechanical operations paid as body, manually entered Inc*, parts that need to be priced by dealer, core charges, enhanced corrosion protection, blank labor times or prices, recalibration of collision avoidance systems, refinish, undersides of selected panels, and dozens of other repair procedure checks.,” the company wrote in a news release. 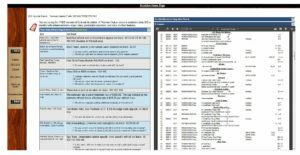 The free edition also checks estimates against industry resources like the SCRS Complete Guide to Repair Planning, ASA Reference Chart of Not-Included Operations and the Collision Advice Panel Specific Check Sheets. Estimate Scrubber saw the expansion of the free service as a way to draw more interest in the $35/month full product, according to VehicleOwnersGuide.com President Steven Siessman.